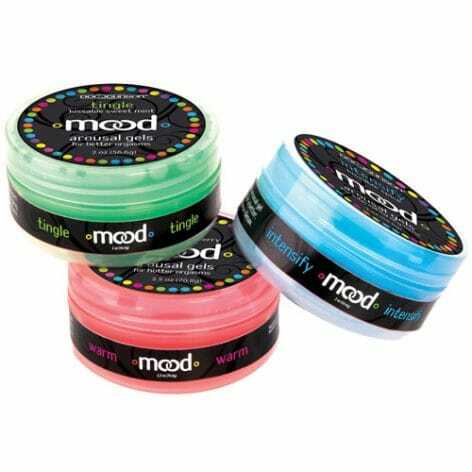 Mood Arousal Gels 3 Pack, Tingle, Warm, Intensify are the perfect addition for diverse and amazing foreplay sessions. “Warm” brings the heat, “Tingle” creates a stimulating buzz, and “Intensify” enhances every sensation. Each container is packed with its own tasty flavor: includes “Warm” Mint, “Tingle” Strawberry, and “Intensify” Spice. 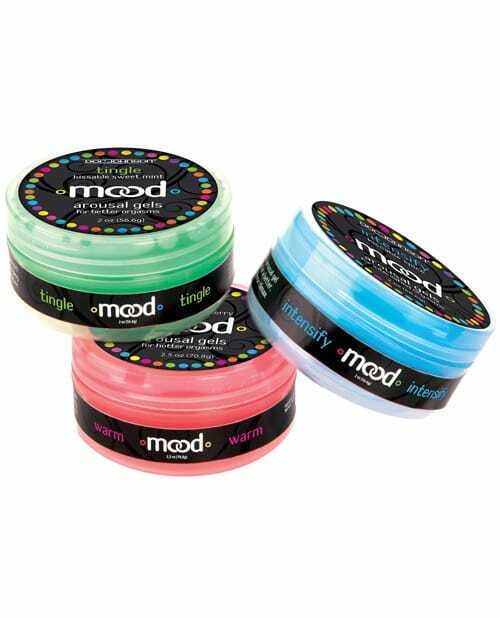 An Arousal Gel for every Mood. All flavors are amazingly tasty and delightful to the senses. Includes 3 containers, 2 fluid ounces each. Part of the popular Mood Series by Doc Johnson. Quality made in the USA.